A vessel found off the coast of Kangaroo Island on New Year's Eve has been identified as Wild Eyes, a yacht that was abandoned in the middle of the Indian Ocean eight years ago during a round-the-world voyage. The vessel was spotted from the air by a tuna-spotting plane about 11 nautical miles south of Vivonne Bay, Kangaroo Island at 12:30pm on Monday, December 31. Police investigated the find, with the PolAir helicopter sent to investigate, along with two commercial fishing vessels that were operating nearby. Police identified the boat as the Wild Eyes, which had been abandoned eight years ago in the middle of the Indian Ocean during a solo attempt to circumnavigate the world. American Abby Sunderland was attempting to become the youngest person to sail around the world solo. Police said on June 10, 2010, the yacht was dismasted in rough seas halfway between the Western Australian coastline and Africa. A rescue was then coordinated and the then-16-year-old was rescued by a French commercial fishing vessel on June 12, 2010 after spending 48 hours stranded in rough seas. The unsuccessful voyage by Sunderland was the teenager's second attempt to travel around the world solo. 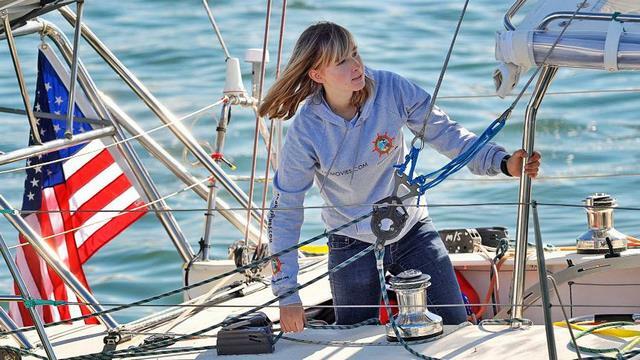 Following the unsuccessful attempt, the US teenager voiced her determination to set sail around the globe again. "I'm definitely going to sail around the world again or really give it another try," she said at the time. An overturned vessel found off the coast of Kangaroo Island on New Year's Eve has been identified as the 'Wild Eyes'. The vessel was spotted from the air by a tuna spotting plane about 11 nautical miles south of Vivonne Bay, Kangaroo Island about 12.30pm on Monday 31 December. The police helicopter (PolAir) was sent to investigate, along with two commercial fishing vessels operating nearby. 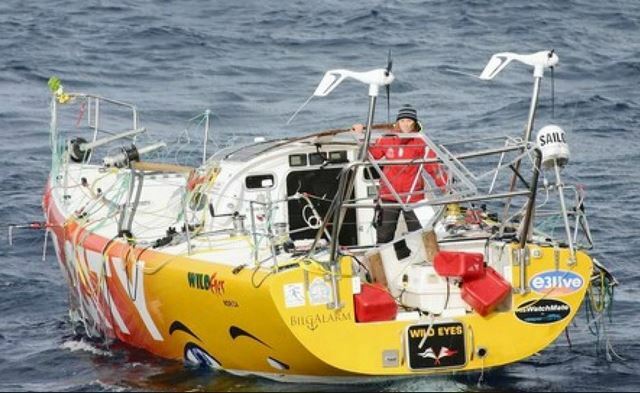 The boat was subsequently identified as the 'Wild Eyes', which had been abandoned eight years ago in the middle of the Indian Ocean during a round the world voyage. On 10 June 2010, the "Wild Eyes" was dismasted in rough seas halfway between the Western Australian coast and Africa in the Indian Ocean while American Abby Sunderland was attempting to become the youngest person to sail around the world solo. A rescue was coordinated by the Australian Maritime Safety Authority and she was eventually rescued by a French commercial fishing vessel on 12 June. You have to give kudo's to the boat builder.